Antioxidants may not sound like a very interesting topic, but there are certainly some new and exciting developments in recent research focused on the nutrients designated as antioxidants. When it comes to Alzheimer’s symptoms, some physicians are even using antioxidant therapy to treat cognitive impairments that come along with the disease. 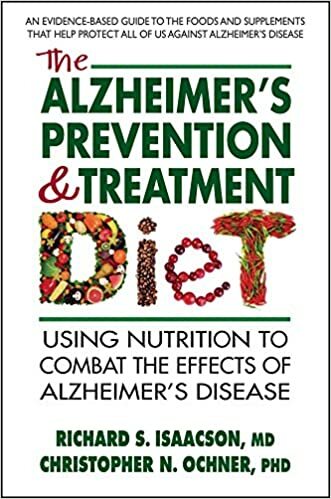 But what EXACTLY are antioxidants and how can they help with Alzheimer’s symptoms? Antioxidants include different types of nutrients such as vitamins, minerals, and enzymes that help to reverse the damage resulting from the normal biologic process of oxidation. Oxidative stress occurs in the humans when free radical molecules are present beyond the capability of substances that can remove them; in the nutrition field those substances are called antioxidants. It’s quite a complex biological process in the body, but the most important thing to remember is that free radicals are thought to cause many diseases and even the aging process itself. The premise is that the more antioxidants we ingest in the form of nutrients, the slower the aging process will be and the less likely we will be to contract diseases such as cancer, rheumatoid arthritis, stroke, heart disease, and yes – even Alzheimer’s disease is being commonly adopted by more and more medical professionals these days. There is a pretty significant list of nutrients considered to have an antioxidant effect in the body, one example is vitamin E. Physicians have even used Vitamin E to treat Alzheimer’s disease because it is thought to have an antioxidant effect that may protect nerve cells in the brain. A study in 1997 showed that high daily doses of vitamin E were shown to reduce some of the impairments in cognition that commonly occur in Alzheimer’s disease. Physicians warn those with Alzheimer’s NOT to self-medicate with vitamin E, but only under the supervision of a doctor should those with Alzheimer’s ingest large doses of the antioxidant, because it can adversely affect other medications. The 1997 study was done by the “Alzheimer’s Disease cooperative Study” research group working under the National Institute on Aging. Since 1997 there have been many other studies that support evidence that vitamin E helps, but other evidence indicates that massive doses of vitamin E may possibly result in expediting effects of coronary artery disease. Another recent hot topic in the field of antioxidants is green tea with its antioxidant called EGCG, a group in the “flavonoid” category found in plants. EGCG has been found to counteract memory loss caused by plaque deposits in Alzheimer’s study and green tea is loaded with it. For the maximum levels of EGCG, Green Matcha tea is recommended. Unlike tea bags that involve whole tea leaves steeped in water, Matcha tea is comprised of the entire tea leaf that is ground up into a fine powder. The powder is dissolved in warm water and the entire leaf is ingested. There is no comparison to Matcha tea when it comes to its EGCG levels. In the latest research using the ORAC (oxygen radical absorbance capacity) method, Tufts University found that Matcha tea has an astounding 1300 units per gram of EGCG compared to pomegranates having only 91 units. And the great news is that it has NO SIDE EFFECTS and it tastes great too! Matcha tea can be used in smoothies, cold or hot Green Tea Latte’s, or even used in baked goods. There are a lot of great recipes that offer a variety of tasty and fun ways to drink (and eat) Matcha tea. Blend a chilled Matcha Green Tea Latte using a classic martini shaker. Drinking daily Matcha is not only great for your health, but regular drinkers of Matcha say it promotes high levels of relaxation while at the same time providing energy (due to a unique type of amino acid called “L-Theanine”). Benefits abound, green tea is a simple and tasty way to increase your antioxidant consumption and help protect yourself in the fight against Alzheimer’s. Where do you get matcha tea? I’ve never heard of it. My personal preference for high quality Matcha Tea is from Matcha Source at http://www.matchasource.com thanks for inquiring! What other foods besides green tea have EGCG levels?? Great question! You can buy it in a supplemental form at the health food store, but it’s never absorbed as well by the body in a supplement as it is from the food source, so buying a good quality Matcha tea is really your best bet.